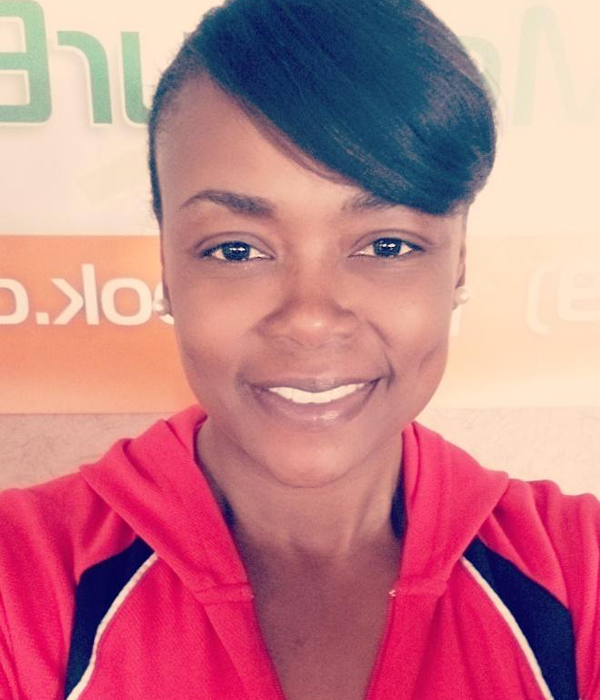 Cecilia (Ce-Ce) Russell is one of our newest trainers and is currently completing her internship. This eight-year Air Force Veteran was an athlete in both high school (Volleyball) and while serving overseas (Basketball). Cecilia is a single mother of two who committed herself to raising her children. In the process, she neglected herself and gradually reached the weight of 280 pounds. Following in his mom’s footsteps, her son made the decision to join the Air Force. Cecilia signed him up for boot camp to physically prepare him for his journey. After seeing his results, she reluctantly signed up as a platinum client and has now been with B.U.S.Y. Body Fitness for four years. Through her own efforts and with the support of B.U.S.Y. Body, she has lost 100 pounds. Cecilia recently received her group training certification and is proving herself to be an amazing trainer with an amazing spirit! Sign up with CeCe, today!